In 2012 these beautiful ‘rocks’ from the famous design brothers Bouroullec, Ronan and Erwan, were introduced in the collection of wonderful well-known design manufacturer VITRA. The Corniches, are looking so beautiful and simple, but are yet sooooo inventive. The idea arose from the need for small storage spaces to spontaneously keep items. Creating an impromptu storage in everyday life. There are three different shapes and the way you compose them makes it unique. For us, the ideal way to make an exhibition at home with all our collected items…, new, secondhand/vintage, found at the streets, bought at fleamarkets or inherited. And change it easily every time you like. These contemporary ‘rocks’ are forever! And get the free the Corniches app too, it’s brilliant! 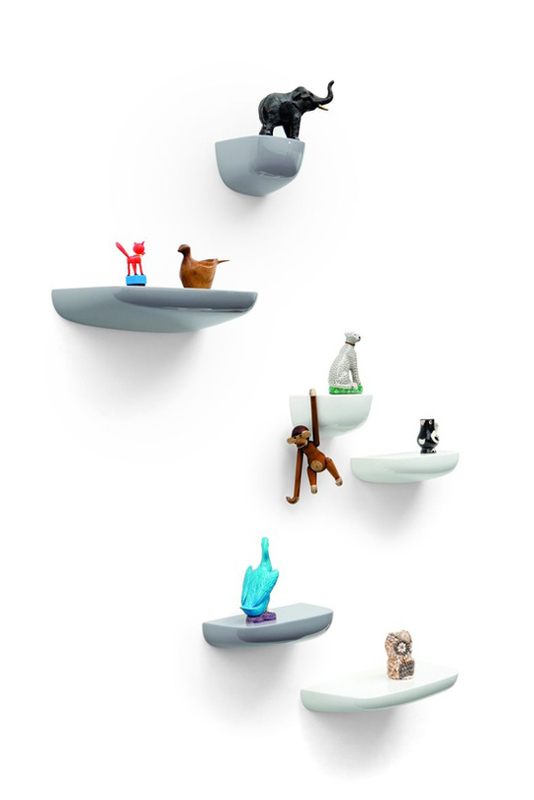 Very cool heads, by Jill Greenberg!A ‘sneak preview’ modern fairytale by Noch Mini N.Y.C. !